Google’s Chromecast is an excellent little streaming device that offers an easy and affordable way to get content from the little screen to the big one. The thing is, when you’re not using it, it can use over 15GB of data every month just idling. That’s a pretty significant amount for anyone on a metered connection. “Why?” is naturally the first question most people have when it comes to all this data usage. The problem can be summed up in one word: Backdrops. You know those pretty pictures that show up on the screen when your Chromecast is idle? Those are called Backdrops. They’re high-resolution images that your Chromecast downloads every 30 seconds or so, which can really chew through your data as days turn into weeks and weeks into months. It’s crazy how much it can use, actually—upwards of 15GB in some cases (depending on your settings and whatnot). 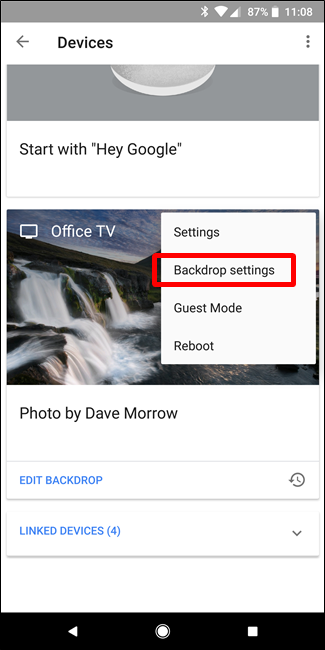 While you can easily customize your Backdrop settings, it’s not as easy to disable all the options that make the Chromecast stop eating data in the background—for that, you’ll need a workaround. When you use the power supply that came with your Chromecast, you’re essentially providing constant power to the unit all the time. You know what that means? Backdrops are always running, even when your TV isn’t on. Now, if you have an unlimited data connection at your house, this probably isn’t a big deal. And there are benefits of leaving your Chromecast running all the time, like Google Assistant voice control. 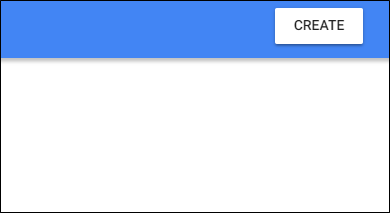 As long as the Chromecast is powered up and your TV supports HDMI-CEC, you can say “Hey Google, turn on the TV” (or some variation thereof) and it will turn on the TV. That’s pretty awesome. But if you don’t care about that, the best thing to do is just to power the Chromecast with one of the UBS ports on the TV. Most TVs disable power to the USB ports when you turn them off, which will effectively turn the Chromecast off whenever the TV is off. No power, no backdrops. That’s about as easy peasy as a solution can get, really. 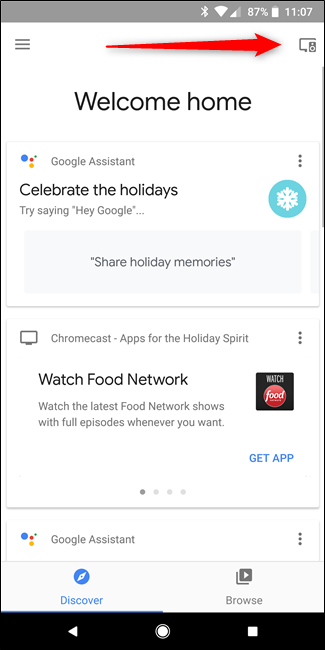 To find out if your TV disables power to the Chromecast when it’s off, turn your TV off, then fire up the Google Home app on your phone. 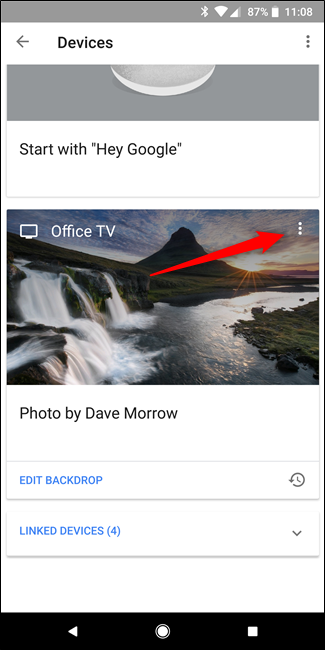 Tap the Devices button in the upper right corner and scroll through the list to see if the Chromecast shows up—if it does, then it’s still powered on. If it doesn’t, well, you’re golden. If the above option doesn’t work for one reason or another—you use voice control, or your TV doesn’t shut down its USB port when powered off—then you have another option. 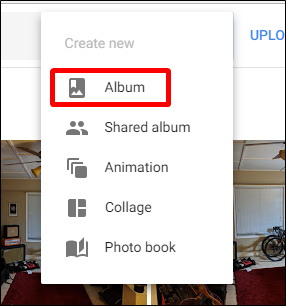 Basically, you need to create a couple of 1×1 images that you can place in a folder on Google Photos, which you’ll set as your backdrop. This will keep the Chromecast from using pictures outside of the specified images, which will take up essentially no bandwidth. So, first things first: just download this zip file. 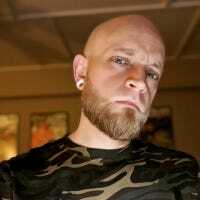 It has two black 1×1 images in it. Go ahead and unzip the file so you can pull the images out. 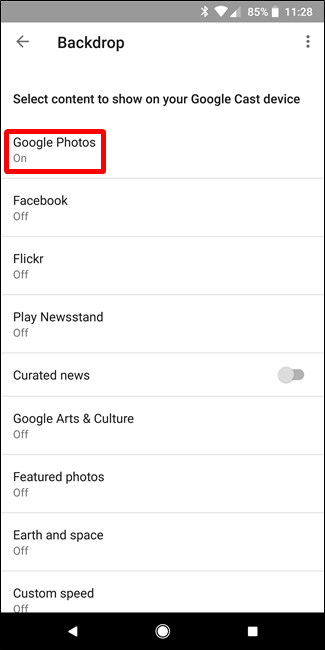 Next, jump over to Google Photos. Log in if you’re not already, then click the Upload button. Choose the two 1×1 pixel images. Choose both of the images, then click Create in the upper right corner. When the new album opens, give it a name—I’m going with “Chromecast.” When you’re finished, just click the checkmark in the upper left. 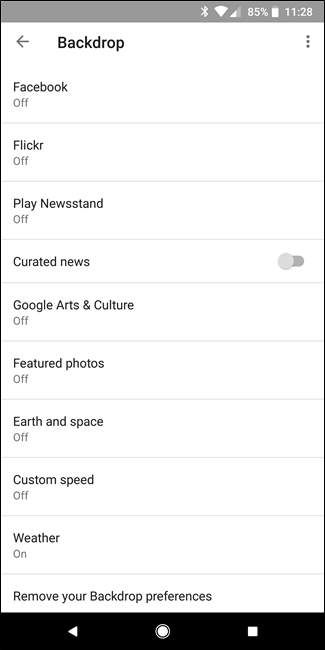 With that out of the way, grab your phone and open the Google Home app, then tap on the Devices button. Find your Chromecast, then tap the three dots in the upper right corner of its card. Choose Backdrop Settings. 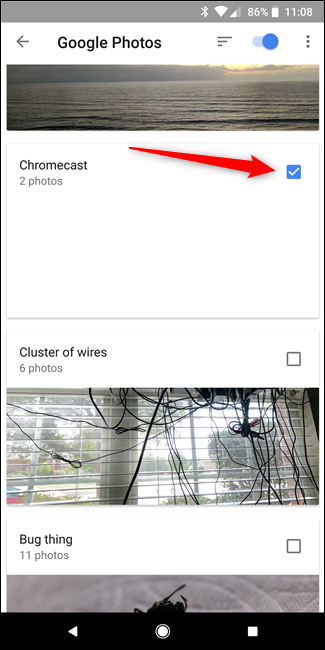 Tap on Google Photos, then choose only your Chromecast folder. After that, make sure you disable all other options in Backdrop Settings. Just run through the list and disable everything. 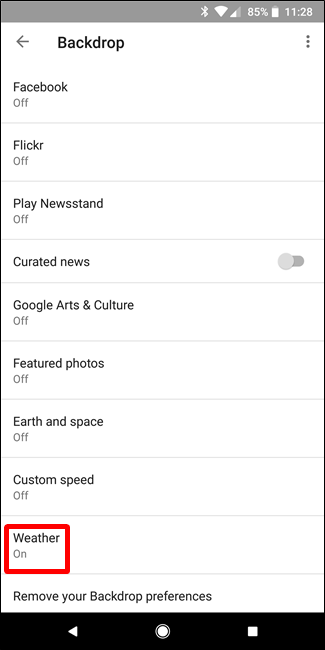 If you really want to make it minimal, you can even turn off the weather option, but it shouldn’t use that much data if you leave it on. There you go. 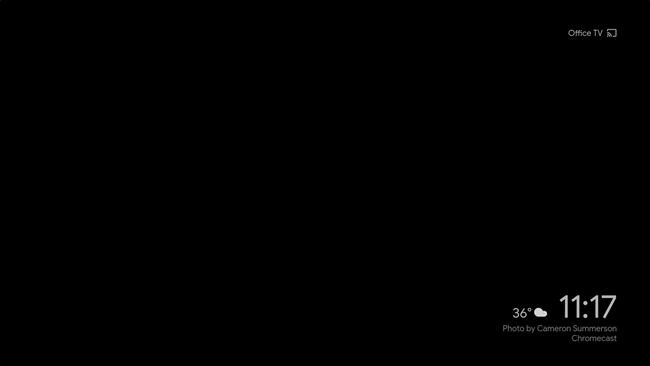 From now on, your Chromecast will just be a black screen all the time when idle. It may not be as pretty, but it’ll save you a pretty decent amount of geebees, which is worth the trade-off if you ask me.